For years I thought I had reverse Seasonal Affective Disorder (SAD). I never felt particularly down in the gloom of winter, but in the overwhelming bright sunlight of summer. Funny acronym, SAD. I knew deep down, though, that’s not what it was. This time of year for me is a collusion of cycles ending and beginning, by which I specifically mean birthdays, anniversaries. Just as there are the micro cycles we see and know throughout our lives all the time, also are bigger ones we aren’t so familiar with, until something happens, until something demands that we respect them. However sad or appropriate it may be, the last time I was abused was the night before my 7th birthday, which is to say that I remember it vividly. There were candles, a pool party that wasn’t, rallying of troops, and a dire negotiation with the Multiverse–which for whatever reason worked out on my behalf. The juxtaposition of that event with my birthday, the most hallowed of holidays any of us can ever have–the opportunity to stand in the presence of the Multiverse and say, “I’m Still Here…” Well, let’s just say that for a very long time, I wasn’t convinced of that, and even when I was, it wasn’t easy. I reached a point of quiet on that front some years ago, in my mid-thirties. The sting was gone, though a dull nothingness took up its place. Then something truly miraculous happened, again. 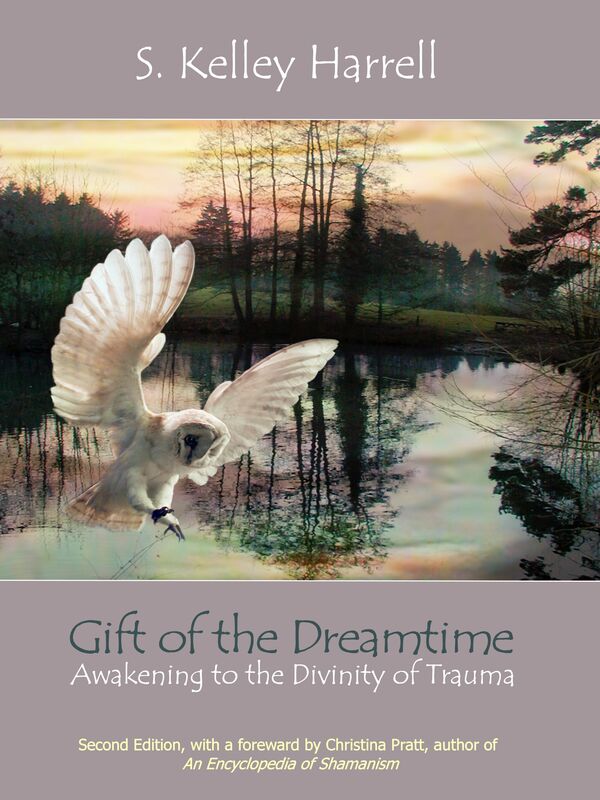 On my birthday in 2001, I first held in my hands my memoir, Gift of the Dreamtime. The irony wasn’t lost on me, though I didn’t shrink to that. I realized as I thumbed through those crisp new pages that a new era was beginning. I had to bless the old, take up its weary bones, and let new being take form. So it has. 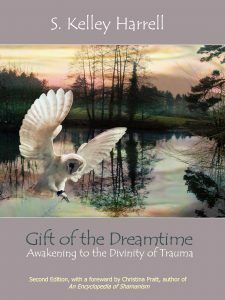 This year I celebrate my birthday, honor the child who brought me to it, and the support of people from around the world who first read about the crossroads of my birthday in Gift of the Dreamtime. It has become more than my memoir. In the true sense of the ancient healing story, it has inspired many others to listen to their own, to tell them, to share their truths. This ninth year of its being, you can download the ebook from Amazon for free 28-29 June. Thanks so much for giving it your blessing on its amazing journey around the world! Thank you, Victoria. So great to see you!